Hello from the Jolly Runner, formerly the Happy Knitter. I blogged on and off (more off than on) as the Happy Knitter for a couple of years. I shared my growing knitting skills and over time I realized I am never going to be as talented a knitter as my amazing family members who can knit a pair of socks in a day and sweater over a long weekend and my trusty readers can only take so many pictures of hats and scarves (my specialty). When I was blogging before I often get sidetracked with other projects and just life in general so I wanted to redirect my blogging energy towards my entire life instead of just my knitting life. Over the past years I having been getting further and further from knitting topics so I am taking the leap in a new direction. This is from my new “About” page and hopefully will give you an idea about who the Jolly Runner is. According to Merraim-Webster the definition of jolly is: adjective jol·ly \ˈjä-lē\ : full of happiness and joy : happy and cheerful : very pleasant or enjoyable. When I run I am jolly. When I don’t run I am the opposite of jolly…and it isn’t pretty – I believe the opposite of jolly is gloomy. So while I may not always be The Jolly Runner it is my goal to get to a place when I am more jolly than not. Running keeps me balanced and makes me feel more confident about myself so I am going to stick with it. I realize the word jolly often goes hand in hand with visions of plump Santa Claus and happy go lucky elves and sadly I also fall in to that category as well. I am not your typical runner. I have never been called skinny and while I am never last in a race I am also never first – I slide in to the middle of the pack and contently run my own race working on beating my own records instead of completing against everyone else. I remember always struggling with my weight and wishing I was thinner so I consider myself a work in progress. In the past couple of months I have recommitted to running after some time off because of an injury and several bouts of bronchitis and am actually watching what I eat instead of just shoveling food in to my mouth like a backhoe. It was a sad break up with Ben and Jerry but it had to be done. I have lost some weight, built so muscle and continue building my confidence. So, while I want to keep my jolly attitude it would be okay with me to shed the jolly physique. 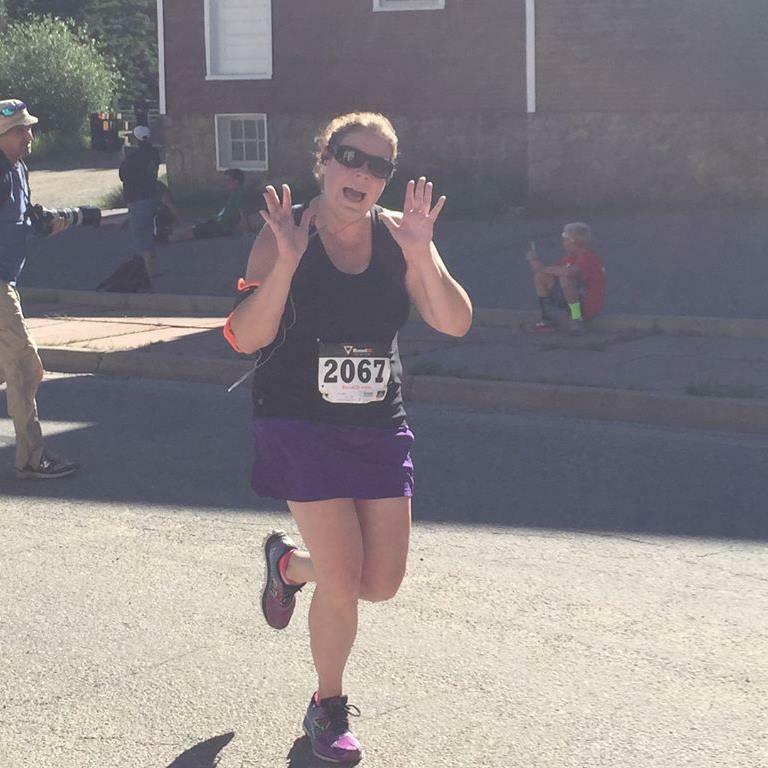 But, this blog is about more than running. It’s about my life, my family, my love of the outdoors, my insane love for my dogs and everything else that comes up. I will also have some “things to do” in Colorado as well as trail reviews and other fun hiking stuff…I live in Colorado and love it so you’re going to hear all about it! I am opinionated person who doesn’t always have the favored opinion. To many I may seem quiet and reserved but I don’t really believe that is who I really am. In the past I have been afraid to share my thoughts and ideas but I am trying to be more open. I know that not everyone will agree with me but I have just as much of right to share my ideas as everyone else. Can’t wait for more,your sense of humor got me laughing first thing this morning!